. : Karl Saidla: Man or Machine, an exposé :: Ski XCOttawa.ca :: Skiing in Ottawa and Gatineau Park :. This is a first of a series of exposés on some of the people in XCOttawa's community. The first section of the article will answer all the usual, but necessary questions. The 2nd section will cover some of Karl's wisdom. And go to the end for pictures. Between 550 and 700 for the past ten years. And regularly for the past 20 years. Leg layer: short-tights with a pair of light tights over top. The tights must have zippers along the side for quick removal. Karl has found a pair of adidas tights that to do the job. Upper body layer: A light synthetic layer as a base. Covered with a windproof, rainproof jacket which is light enough to fit in your water belt. This layer system, according to Karl, has been an “evolution”. Indeed, Karl has developed a layer system that, just in recent years (maybe 2009), has reached its final form. Of course, the achievement of the final form was a result of so many fall practices, many of those, starting off being cold and miserable, then becoming so hot you feel like you are in a Finnish sauna. However; despite having found the ultimate fall wear, Karl insists that: “it was not forced evolution, it was more of a process”. The system enables Karl to quickly strip down by either: removing his upper-top layer (his light wind/rain jacket) and storing it in his waterbelt pouch. In addition, Karl can, for further cooling, simply unzip his adidas tights and sport his fashionable tight-shorts. 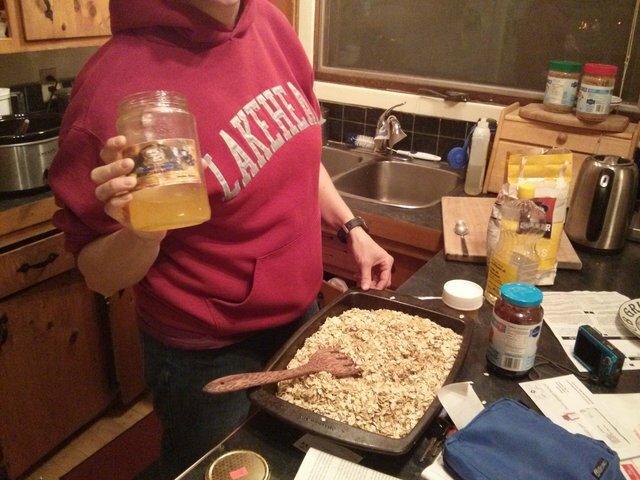 By adopting the Karl fall layer system, you can sidestep years of trial and error and simply enjoy your fall workout without freezing or boiling. The Man himself. Notice the watch. Karl also has a watch system, a heart rate monitor for training, a cheap sports watch (seen here) for everyday use and a nicer watch for more formal occasions. 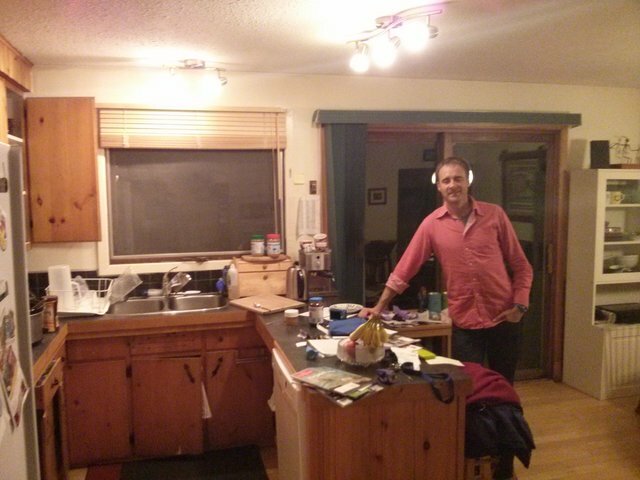 Here he is again by the kitchen (apparently not always this dirty) , posing for the camera. He is not wearing earmuffs... I'm not sure what that is. 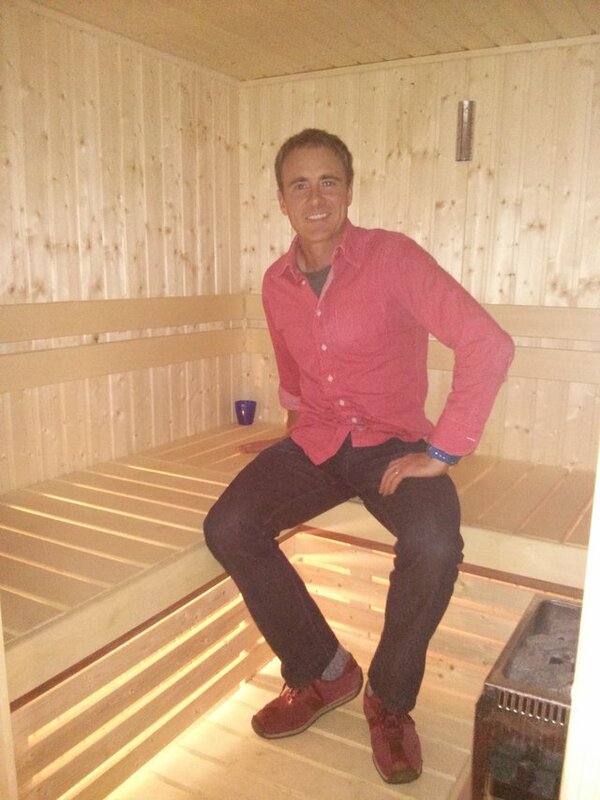 Karl posing in their new sauna. This was Wednesday night, after going to the gym. While most of us would have given up and worn whatever was convenient, Karl maintains a both natural and stylish look for a relaxing evening. 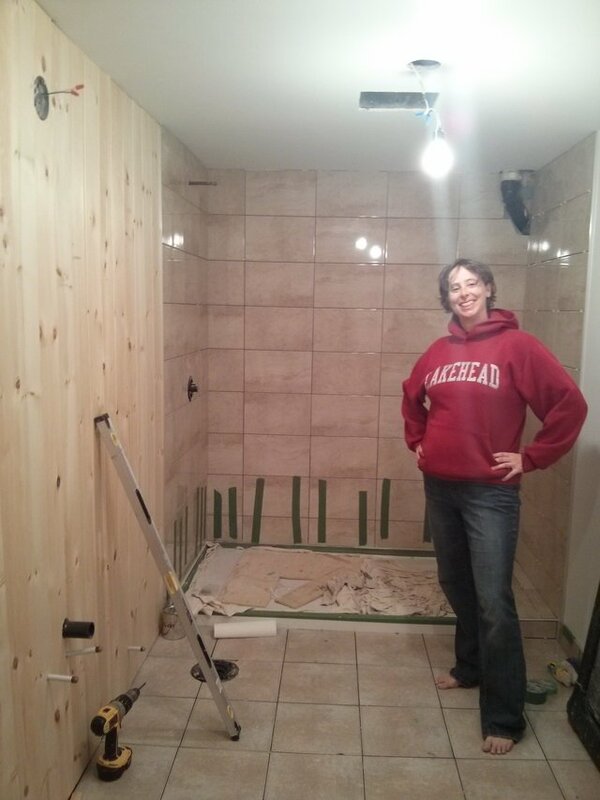 Megan in the shower (currently under construction). This room-for-two shower is within arms reach of the sauna, the ideal post-ski setup. 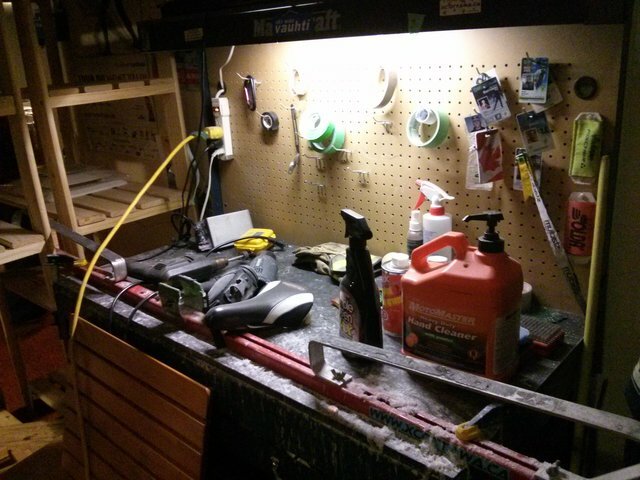 Like most skiers, the Saidla-McTavishs have a ski bench year-round which can also serve as a workbench. Megan is also sporting a black watch which happens to be Karl's 2nd "sports-everyday-use watch", which was not acquired through purchase (i.e. 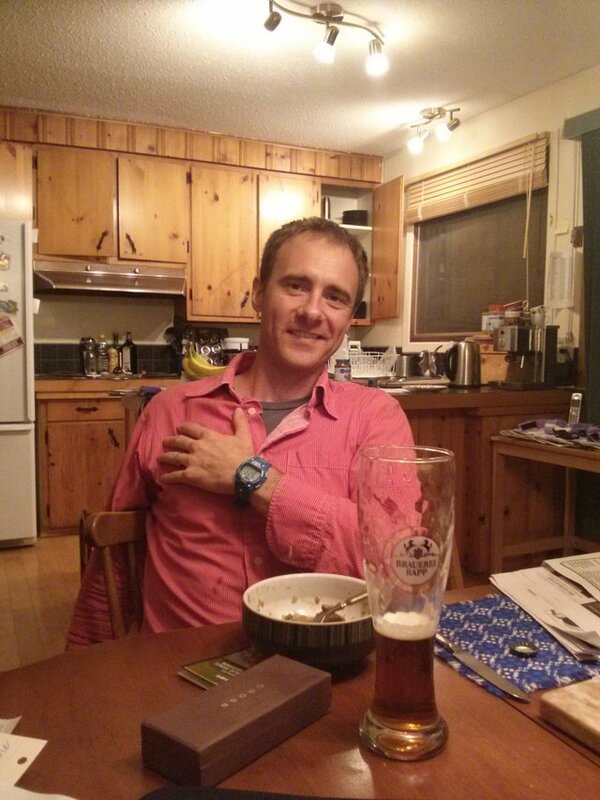 Karl would not have purchased a 2nd sports watch, because his watch system was already complete with its 3 watches). This one was "probably given or won", although its history cannot be accurately determined. I also asked Karl for 3 words that describe himself, with Megan's help, he came up with humorous, absent-minded and social. Next up is Megan McTavish! XC Local: Man-Made Snow Rumours #2 - The Lafleur Sprints are now Nov. 30th!